Phantoms Ink Art For Wiesbaden !!!! Art Rubio played high school ball at Fillmore (California) and at Ottawa University (NAIA) where he was,also used as a wide receiver and Line Backer. Then, the 6’3 225 Rubio continued his career with the California Seminoles before he gained his first experience in the GFL with the Frankfurt Pirates last season. In Mid-January 2015 he will join the Phantoms and is looking forward to his time in Wiesbaden. “A decisive advantage in this preparation is to get him here early with the team and getting to know the guys,” the coach explained he’s finally satisfied. And today, we say: welcome to the PHANTOMS Art !! This entry was posted on November 6, 2014 by Jamaal Jonas. 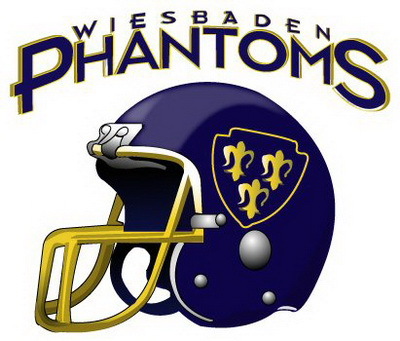 It was filed under Sports and was tagged with arthur rubio, football, Germany, gfl, gfl2, patrick griesheimer, sports, Wiesbaden phantoms. What time of the year do the schedules come out?? I am asking because I went to Frankfurt American H. S. , an we are going to be in Frankfurt the ist week of October next year for a High School reunion, an would love to see a game while over there.